On the one-year anniversary of becoming a Mental Health First Aid instructor, I’ve decided to take a study break to reflect on the whirlwind 12 months. 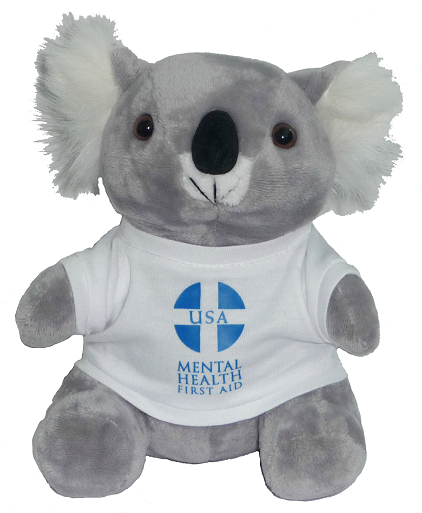 In February 2018 I was awarded the PA Foundation’s inaugural Mental Health Outreach Fellowship, and became a nationally certified Mental Health First Aid (MHFA) instructor in soon after. Twelve months later I can now say that I’ve taught almost 200 Mental Health First Aiders. While my drive and motivation is stronger than ever, there’s no denying that my super hectic schedule as a fulltime PA student –i.e., studying 60~80+ hours a week learning medicine– proves a major challenge in continuing my mental health outreach activities. In other words, the juggle is real! So, as a means of self-care I’m taking a study break to do something I don’t do often enough – looking back. By the time I applied for the fellowship I had been a trained counselor in Australia and had about 10 years of paid and volunteer work experience in healthcare and human services, both in Australia and in the U.S. Some of the care settings I was a member of during this time include homeless health, medication-assisted treatment, inpatient behavioral health, detoxification, and psychosocial rehabilitation. Mental health is a true passion for me, and I can’t deny that I feel an inexplicable pull towards everything to do with the subject. I remember seeing the fellowship ad for the first time and being unbelievably excited because the possibilities presented in the program seemed too good to be true. I am thankful for the opportunity to serve as a Mental Health Outreach Fellow. It’s hard to believe it’s been a whole year since the fellowship training. It was an incredibly fun and stimulating experience for so many reasons. Firstly, walking into the training room and learning that all other fellows were practicing PAs — it wouldn’t be an exaggeration to say I was a little starstruck! It quickly became clear that we shared the same passion and were eager to learn. I actually completed MHFA training in 2010 as a participant in Australia, which is where the training and movement originated. So I already had some familiarity with the content of the training, and I was interested to see how it was adapted for the U.S. audience. Other highlights from the instructor training include learning from two Master Instructors, meeting some of the AAPA (American Academy of PAs) and PA Foundation staff, presenting an assigned portion of the Mental Health First Aid curriculum to the group, and having a picture taken with the other fellows. Last but now least, it’s always so much fun visiting Northern Virginia, where the fellowship training was held. I would certainly recommend the fellowship program to others, particularly PAs and PA students with a passion for mental health. I feel that a genuine interest, general knowledge of mental illnesses and substance use disorders, and experience teaching or facilitating groups will all be valuable qualities for future instructors to have. And because being an effective and successful MHFA instructor entails so many moving parts, having a realistic understanding and expectation of the responsibilities would also be helpful to consider; these may include setting a course schedule, marketing and promotion, participant registration, event planning (e.g., catering, logistics), and administrative tasks such as collecting and entering course evaluations and feedback. That aside, I can’t tell you how much I enjoy the challenge of teaching the 8-hour curriculum. I’ve told some of my classmates that I do this as a hobby (and it’s true!). They mostly seem incredulous, but there’s really nothing quite like the rush I feel when I’m standing in front of the room just about to begin a day’s session or whenever participants share the positive impact of the training. I hosted my first training session about 2 months after completing the fellowship training, and it didn’t come without trials and tribulations! As I was so eager to start teaching, the initial challenge was getting others in the community on board. I learned at this stage that not everyone perceives the same value in MHFA training as I do, but that’s also part of my role—to inform and educate the community about this evidence-based public education program. I started putting myself out there by any means I could think of and I still do. The difference now is that I’m perhaps better and more efficient at it than I was even a short 12 months ago, but I also have several partner organizations to thank for their support in bringing my training sessions all around the Roanoke Valley. Fast forward 12 months, finding the time to plan, organize, and deliver these 8-hour training sessions as a PA student is by far the biggest challenge. There’s also a lot of preparatory work involved behind the scenes, such as purchasing and preparing training supplies during study breaks at home or attending meetings and webinars after school. But teaching MHFA is almost like a retreat that takes me away from the intense schoolwork, even if it means that much less study time. And like any good hobby it’s fun and invigorating.